To Inquire About New Service Please Give us a Call or Fill Out the Form on our Wireless Coverage Page. 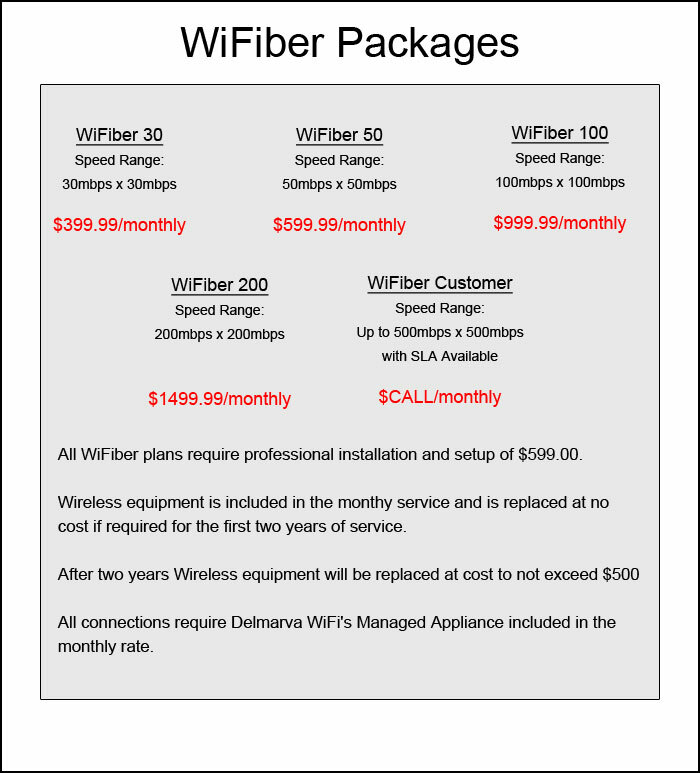 WiFiber is Delmarva WiFi's newest service offering. In select areas we have built out fiber-optic equvilant in terms of speed and reliability over the air. Utilizing state-of-the-art technology Delmarva WiFi is now offering packages with symetrical speeds up to 500Mbps.